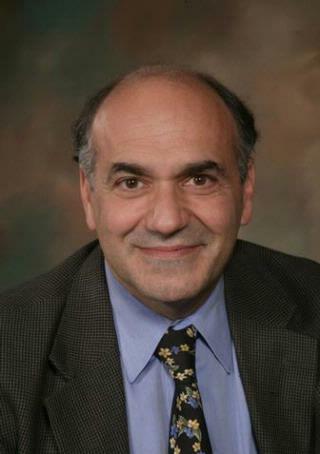 Richard L. Barbano, M.D., Ph.D.
Dr. Richard Barbano is a Professor of Neurology, Chief of the Movement Disorders Division, and Associate Chair for Regional Development at the University of Rochester, Rochester, New York. He has been at the University of Rochester since 1993, and over the years has developed a special interest in the evaluation, treatment, and long term care of patients with dystonia. This evolved into an interest in movement disorders in general, including Parkinson's disease, tremor, Huntington's disease and other movement disorders. He has been the Director of the Botulinum Toxin Clinic since 1995. He is a long-term adapter in the use of botulinum toxins in the treatment of neurologic disorders. He actively participates in projects aimed at better understanding movement disorders as well as those aimed at developing and improving treatment options. Corboy JR, Powers LB, Anderson DC, Barbano RL. "Message from the Editors to our Reviewers." Neurology. Clinical practice.. 2018 Feb 0; 8(1):2-3. Saran JS, Barbano RL, Schult R, Wiegand TJ, Selioutski O. "Chronic diphenhydramine abuse and withdrawal: A diagnostic challenge." Neurology. Clinical practice.. 2017 Oct 0; 7(5):439-441. Pirio Richardson S, Wegele AR, Skipper B, Deligtisch A, Jinnah HA, . "Dystonia treatment: Patterns of medication use in an international cohort." Neurology.. 2017 Feb 7; 88(6):543-550. Epub 2017 Jan 11. Chapter Title: Mechanical and other lesions of the spine, nerve roots, and spinal cord. Chapter Title: Standard strategies for diagnosis and treatment of patients with newly diagnosed Parkinson disease.